Shirley Ann (Jones) Wilkinson of Chandler, Arizona, was born on Sept. 9, 1935 at the United Verde Hospital, now known as the Grand Hotel, in her beloved Jerome, Arizona. She passed away at age 83 on Jan. 20, 2019 in Chandler, a resident of the city for 60 years. Shirley was the daughter of the late “Peggy” Iris Estelle Jones and the late Arthur N. Jones. 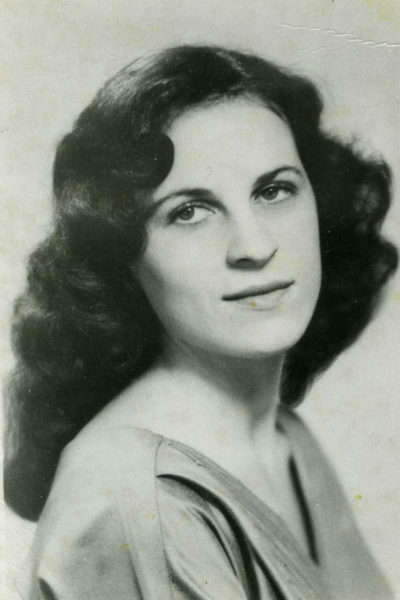 Shirley was the loving wife of Harry Wilkinson for 62 years. She was preceded in death by her sister, Barbara Lee (Jones) Pitts. Shirley is survived by her daughters, Tracey Wilkinson and Vicky (Wilkinson) Mason; son-in-law Richard Mason, grandson Chandler Mason; nephew Jeffrey Pitts, and other extended family members. Although Shirley was born in Jerome, she lived at the base of Cleopatra Hill, in the company town of Clarkdale, where her father was City Manager and her mother owned a woman’s dress shop. Clarkdale was the first planned community in Arizona and was owned by the United Verde Cooper Company, later the Phelps Dodge Corporation. Shirley lived on Main Street, across the street from the Clarkdale Town Park. In the early 50’s much changed with Clarkdale and Jerome, when the mines closed and Clarkdale was bought and sold by several different companies. Shirley’s father was then the State Auditor for the Phelps Dodge Corporation and it was no longer necessary for them to live in a mining town. The family moved to Tempe in 1950. Shirley attended Tempe High School where she graduated as valedictorian in 1953. She represented Tempe High in the citizenship contest of the Daughters of the American Revolution and Girls’ State. She was a member of the Glee Club, Girls’ League Council, and the National Honor Society. Shirley was a Worthy Advisor and Grand Hope of the Order of Rainbow for Girls, a Masonic youth service organization. Shirley attended Arizona State College, later becoming Arizona State University. Harry and Shirley Wilkinson were married in 1956 in the Danford Chapel at Arizona State College. Harry was from Memphis, Tennessee and serving in the military while stationed at Williams Air Force base in Chandler. They met one evening after he had been in Phoenix playing with the Air Force band for a U.S.O. dance and Shirley had been with friends attending a dance at the Mezona on Main St. in Mesa. Harry and Shirley started talking about music and upon learning that Shirley’s favorite song was “All the Things You Are,” Harry turned to his friend and said, “I am going to marry that girl.” Three years later, they were married. Shirley worked for Farmers and Stockmens Bank prior to marrying Harry. She was working for Western American Mortgage Company when they married. Later, when not wanting to work full time with her two daughters, Shirley began working part time. She held positions at Farmers Insurance agencies, with Dr. Ryan (Chandler optometrist), and the Chandler school district. Shirley was the manager of the Chandler Area School Employees Federal Credit Union for several years. The Credit Union was located in a converted bedroom in the family home. Shirley was able to meet most all of the teachers and school employees in Chandler and Gilbert during those years. The credit union later became San Tan Credit Union. 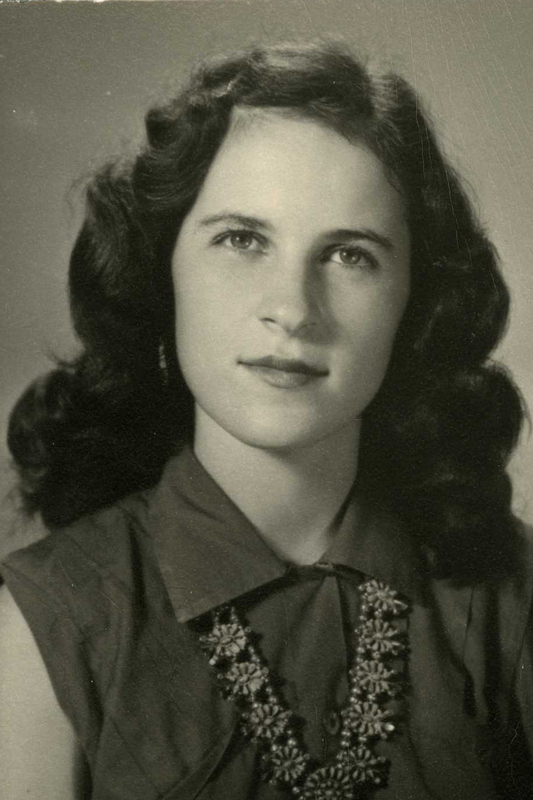 For multiple years, Shirley served as the “cookie mom” for the local troop of the Girl Scouts. The cookie boxes were stacked from nearly floor to ceiling in the house. Roses were one of Shirley’s loves. She had up to 36 rose bushes at the home. She enjoyed feeding the birds and listening to the mockingbirds in the neighborhood. She loved her four-legged children; German Shepherds, Irish and Gordon Setters, and Alaskan Malamutes. She was often seen walking them in the surrounding neighborhoods. She found friends on her walks with the dogs or in a store shopping. Shirley had a vibrant group of friends that gathered for their regular bridge games. Shirley was an animal lover, a wildlife advocate, environmentalist and a good friend. She was known for her appreciation of literature, poetry, and her sense of humor. After Harry and Shirley’s daughters went to college, the couple traveled in an RV to Canada, throughout the Rocky Mountains and the west coast. They visited most of the National Parks along the way. After their travels they purchased a cabin in Alpine, Arizona, which the family helped to build. They kept the cabin for 25 years. Shirley and Harry continued their fondness for music and were frequently seen attending jazz concerts and events throughout the valley. In lieu of flowers, donations in Shirley’s memory may be made to the Arizona Humane Society and the Sierra Club. 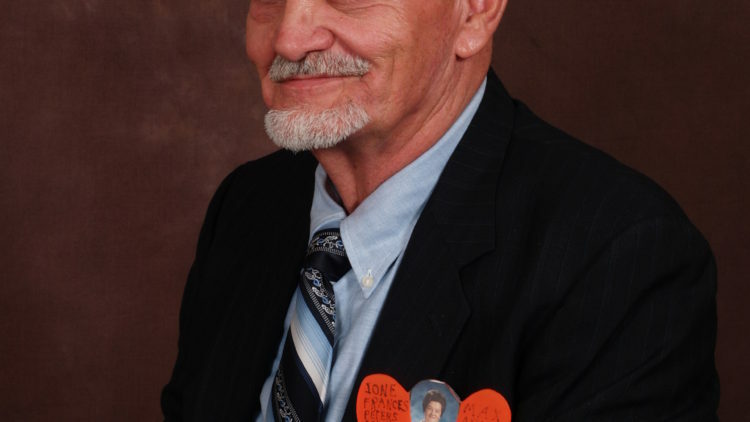 Donations to Rainbow Acres in Camp Verde, may be made in Shirley’s honor and in support of Jeff Pitts, her nephew, for whom she was his guardian for 40 years. Friends and family are welcome to attend the Celebration of Life on Sunday, February 24 at 3:00 p.m. at Bueler Mortuary, 14 W Hulet Dr, Chandler, Arizona, 85225. We welcome and appreciate the opportunity for you to share your stories and fond memories of Shirley.